We are looking for DevOps Engineers to join our Backend Engineering team, which builds the platform that helps our customers launch and scale their mobility products. We are a team of six that is central to ioki’s product development and wants to grow with its young codebase, which has seen a lot of production use already but is carefully maintained and free of technical debt. 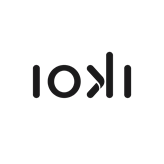 As a DevOps Engineer in the Backend Engineering team, you’ll get to work on the modern infrastructure that powers the ioki platform and enables it to scale. We use OpenStack, Terraform, SaltStack, Prometheus, Grafana to build and maintain our infrastructure on which the platforms runs . The platform itself is built with Ruby and Ruby on Rails, both in up-to-date versions. Our favorite database is PostgreSQL, which we use together with PostGIS, and run in a HA-setup. The platform and its applications are deployed with our custom deployment to our Docker Swarm cluster. Other tools we use are HAProxy, OpenVPN, PowerDNS and Graylog. Our ISMS is I-Doit. ioki is a complete service provider for digital forms of mobility on the road. We enable third parties, such as cities, transport companies or municipal authorities, to operate new types of mobility in public transport under their own name and design. To achieve that, we provide system components, such as the ioki platform and mobile apps, driver-based and autonomous vehicle concepts or mobility analytics, all of which can be put together flexibly and individually for our customers to build their own demand-responsive transport product. ioki is a product company that places high value on crafting quality software. In our technology teams our mission is to create real world value and to have fun doing it. We're practicing modern software development in a casual environment. We value clean code, automated tests, refactoring, TDD in the sense of test-driven-design and in the sense of test-driven-development, continuous integration, shipping early and shipping often. Other modern best practices like version control go without saying. We're constantly trying to get better at what we do, sharpen our tools, and learn to get better at developing the best possible software. We support each other in our work and our individual paths. As a part of Deutsche Bahn ioki has a rich heritage and is still as autonomous as possible. The result is that ioki employees enjoy the benefits of a huge corporation, but have the freedom to take on the challenges that face a fast-growing startup in their own way. Want to get notified about new jobs at ioki // Deutsche Bahn?